Cats are the best friend of some people and it is probably those people who would enjoy playing the Meow Money slot game. Here is your chance to get your cat fix along with a chance to win lots of money at the same time. 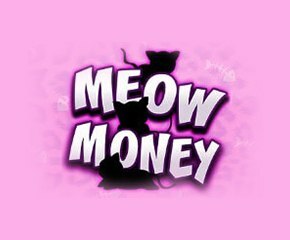 Meow Money is a slot by Nektan gaming, an online casino developer that is known for some great looking slots. This game too, has some interesting graphics that are soothing to look at and make the game fun to play. 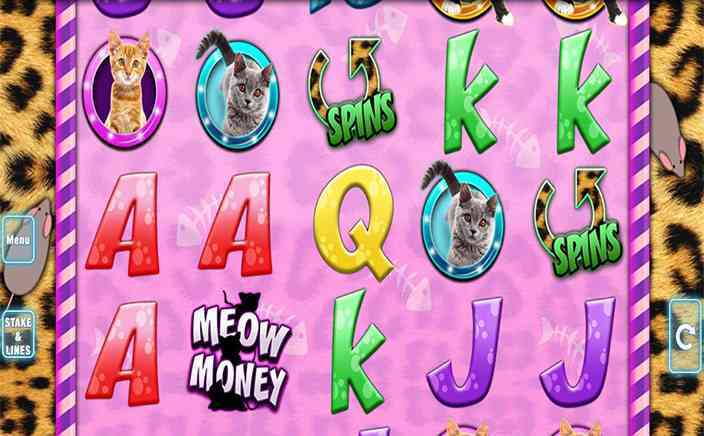 Meow Money is a 5 reel and 9 payline video slot game in which you have a whole lot of cats on the reels, which is great if you are one of those people who love sharing cat videos. The symbols are of cat photos which are placed on the reels and are sure to drive the cat person in you cat crazy. You can start playing by placing your bet and then giving the reels a spin. · Wild substitution: The wild symbol in Meow Money is the yellow cat with the world Wild written underneath it. When you get the wild symbol, you can use it to substitute other symbols so that you can make a payline that wins big. You will not be able to use it to swap out for the free spins symbol. · Free spins: The free spins symbol is the spinning arrow that has a cheetah print on it. If you get enough of these symbols on the reels, you can get some free spins. Three of the printed free spins signs will earn you ten free spins, four of the printed free spin signs will earn you 20 free spins and five of the printed free spin signs will earn you 40 free spins. Note that this is the only bonus feature in the game worth mentioning, so you have to look forward to activating the free spins round to see any real slot action with this game. Meow Money is a great game for cat lovers, but certainly not one for people who like their bonuses. It is very similar to other Nektan slots, which invariably have limited bonus features and some kooky graphics to entice a section of slot users, depending on the game being played. With this game, it is recommended that you look forward to the high paying symbols so that you can earn some good returns on a payline, or just look forward to triggering the free spins round so you can make some real money.